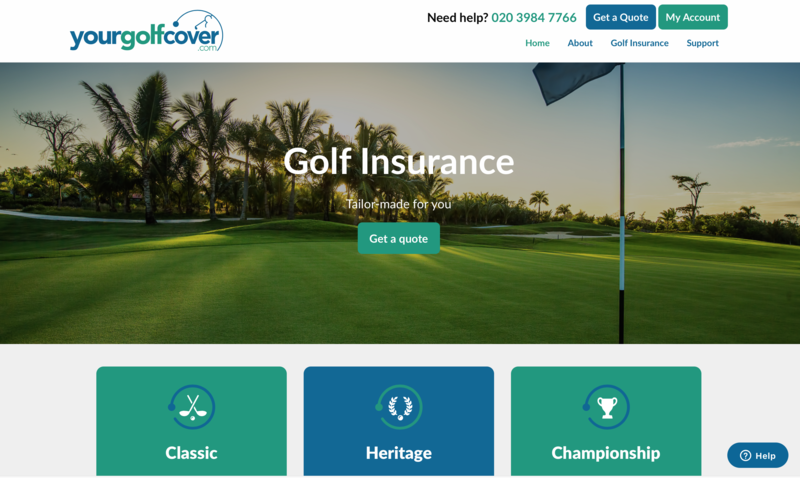 Your Golf Travel, has launched Your Golf Cover; a golf insurance offering giving golfers tailored protection when on and off the fairways, whether at home or travelling abroad. Golfers are increasingly aware of the risks to them, and their equipment, when they are playing and travelling, and that having specific golf insurance is now a must. Personal liability, personal accident, theft, damage, even a hole-in-one, all could result in significant personal cost to an uninsured golfer, at home or abroad. Sending over 200,000 golfers on holidays across the globe each year, Your Golf Travel recognises this and, through Your Golf Cover, is now offering comprehensive protection at an exceptional price, giving golfers peace of mind on, and off, the course. Three tailored packages are available through Your Golf Cover – Classic, Heritage and Championship at highly competitive annual premiums of £29, £39 and £49 respectively. All three packages offer cover for: Golfing Equipment, Personal Liability, Personal Accident, Golf Club Membership Fees, Accidental Damage, Personal Effects, Hole in One, Golf Equipment Hire and Tournament Entry Fees. The level of cover varies, with Heritage and then Championship offering greater cover on some elements. Classic and Heritage offer European cover while Championship offers worldwide cover. The team behind Your Golf Cover, Your Golf Travel, is the largest golf travel company in the world, offering ABTA and ATOL protected travel solutions for golfers. YGT deliver award-winning customer service and boast a 9.3 Trust Pilot Rating. Your Golf Travel has been at the very forefront of the world golf travel market since its inception in 2005, during which time the company is proud to have overseen and co-ordinated bookings and tee-times for a phenomenal 1.6 million golfers, to over 3,500 destinations in 22 countries all around the world.